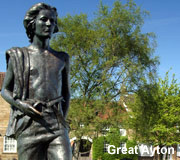 James Cook was born on 27 October 1728 in Marton, in Cleveland, England. His father was a poor labourer. 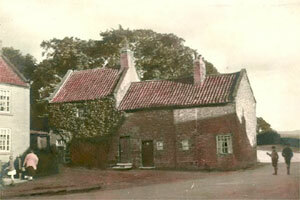 The family moved, after his birth, to Great Ayton where his father became a farm overseer. James began as a labourer too, then worked as a grocer's assistant in Staithes. However, he determined to go to sea, and soon found employment at the age of 18 in Whitby on the colliers which carried coal from Newcastle to London. Three museums in Captain Cook Country mark the stages of James’ early years, and welcome school parties and their teachers. 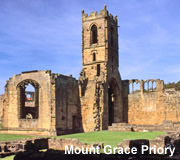 They are the Birthplace Museum in Marton near Middlesbrough, the Schoolroom Museum in Great Ayton, and the Memorial Museum in Whitby. During the war with the French in 1755, Cook left his merchant vessel in the Thames and enlisted as an Able Seaman on HMS Eagle. Within a month he was promoted, because of outstanding ability, to Master's Mate. Four years later he was promoted Master. Cook performed the crucial charting of the St. Lawrence River, which made possible the great amphibious assault upon Quebec City in 1759. In 1763 he was given command of the schooner Grenville to survey Newfounland over a four year period. These excellent charts continued in use until the early part of the 20th century. In 1768 Cook was selected to lead the expedition to observe the transit of Venus, and to explore new lands in the Pacific Ocean. In his first Pacific voyage, he rounded Cape Horn in the Whitby built bark Endeavour (formerly the Earl of Pembroke) and reached Tahiti on 3 June 1769. After recovering a necessary scientific instrument stolen by the natives, the transit of Venus was successfully observed. The Endeavour then spent six months charting New Zealand. Cook next explored and claimed possession of eastern Australia. 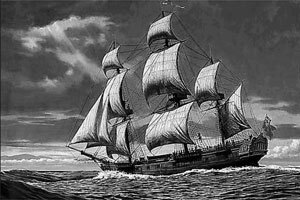 Endeavour returned to England on 12 June 1771, via New Guinea, Java and the Cape of Good Hope Though the crew suffered an appalling 43% fatality rate from the fevers they picked up in Java, Cook had not lost a single man to scurvy during the voyage. This was an astonishing achievement at the time and was because he insisted on a balanced diet for his crew. Many other ship captains copied his example. The object of Cook's second Pacific Ocean voyage was to confirm the existence of a theorised Great Southern Continent. His ship HMS Resolution, accompanied by HMS Adventure, departed Plymouth on 13 July 1772 and sailed around the Cape of Good Hope. Beset by ice, he was unable to reach Antarctica. Although its existence was suspected, James Cook demonstrated, by traversing large areas of the south Pacific, that it would have to be a frigid wasteland, and not an economically productive addition to the British empire. Cook determined the location of many of the South Pacific islands with the incredible accuracy of 3 miles. This was made possible by a new and highly accurate clock. The two ships returned to England, via Cape Horn, on 29 July 1775. Since public interest was high, the many paintings by the artists were widely displayed and published as engravings. Cook was also awarded the Copley Gold Medal and elected a fellow of the Royal Society. The third great voyage is especially significant to the history of the west coast of North America. Captain Cook and his men were primarily searching for the Northwest Passage from the Pacific Ocean to the Atlantic Ocean. They departed Plymouth on 12 July 1776 in HMS Resolution and HMS Discovery. The ships sailed around the Cape of Good Hope to reach the west coast of America in February of 1778. They continued north along the coast in haste to the Bering Sea and Bering Strait in an attempt to pass through the Arctic Ocean during the summer season. Foiled by ice, Cook returned to Hawaii to prepare for another attempt at the Northwest Passage the next season. Soon after they had departed, a storm damaged the foremast of the Resolution and forced a return to Kealakekua Bay for repairs. Unfortunately, they had previously overstayed their welcome and relations became tense. The theft of a ship's cutter led Cook to put ashore to demand the return of the boat. A fight broke out and he was killed on 14 Feb 1779 by angry natives. Although his men made another attempt at the Northwest Passage, they were unsuccessful. The expedition did identify the possibilities of trade with the coastal American natives for sea otter furs, which could then be bartered for Chinese goods that were highly prized in England.